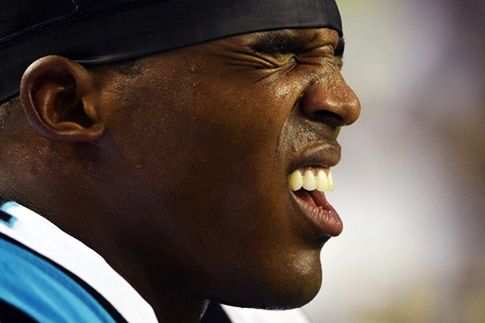 Where art thou Cam Newton? You play to the win the game…sort of. There once was a player that came into the league with a canon for an arm, an ability to extend plays, and despite his youthfulness made veteran like plays. He inspired a forlorn franchise into believing that maybe, just maybe, they had a shot at something better. He was the kind of player that made fantasy managers drool each week at the prospect of dominating their opponents. In reality I have no idea where this player went. Cam Newton burst onto the scene last season and gave a rookie performance for the ages. This year he has been known more for his sulking on the sidelines and somehow managing to blame everyone on the team for his failures. True, in the NFL no one gets more blame, or credit, than the quarterback. But considering that his ability to perform has a lasting impacting on both the offense AND defense, it’s no wonder that this team is floundering. Maybe a change in offensive coordinator, or dare I say head coach, will bring about a change in Newton’s attitude, but right now there isn’t much hope for the Carolina Panthers. Until he can match his potential with some mental focus, this team will continue to suffer. I think I’ll throw another touchdown. Raise your hand if you thought the Atlanta Falcons would be undefeated at this juncture in the season. Exactly. Perhaps we were too rash to rail against the Falcons for spending so much to get Julio Jones. Maybe we forgot that having the right players at skill positions can make all the difference in the world. I would also wager that we’ve not seen a team come together on both sides of the ball in such a fashion since the last time the Patriots won a Super Bowl. 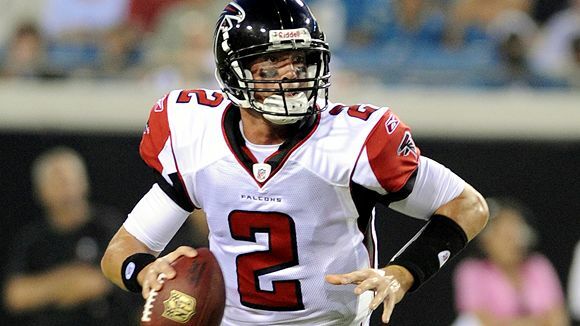 Matt Ryan is playing his way into the elite echelon of QBs. Soon you’ll be saying the words “Brady, Manning, Ryan…”. While he still has to prove to everyone that he can guide his team through the playoffs, at this point in the season I want Ryan over Aaron Rodgers (and everyone in Green Bay says: blasphemy!). A passer rating of 103, 17 TDs vs 6 INTs, plus some 4th quarter heroics that makes you think Atlanta did well in drafting this young man. Not to mention Atlanta has the kind of defense the Packers could only dream about. Don’t forget they also play in the NFC South and most likely will devour the Bucs, Panthers, and Saints as they cruise into the playoffs. Wow. The picture just says it all. Though if they continue to play like they did against the Redskins no one will much care. Float like a butterfly, sting like a Steeler? The second half of the season starts on Thursday with some epic games to be played. Divisions will be won or lost and I’m sure we’ll see some team rise from the ashes that we all wrote off earlier (I’m looking at you Dallas).